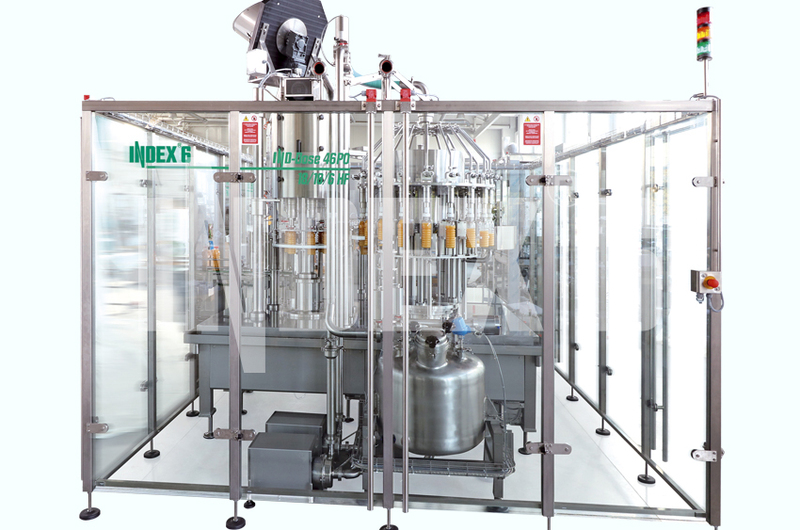 INDEX-6® offer the latest generation of equipment for hot-filling of fruit juices. There are two types of machines: rotor and linear. The Rotor machines use gravity-filling technology with a mechanical valve with low recirculation of the product to provide a constant temperature for the process of 82 to 90˚C. We also offer rotor machines with non-contact, digital control filling in an ULTRA CLEAN environment. 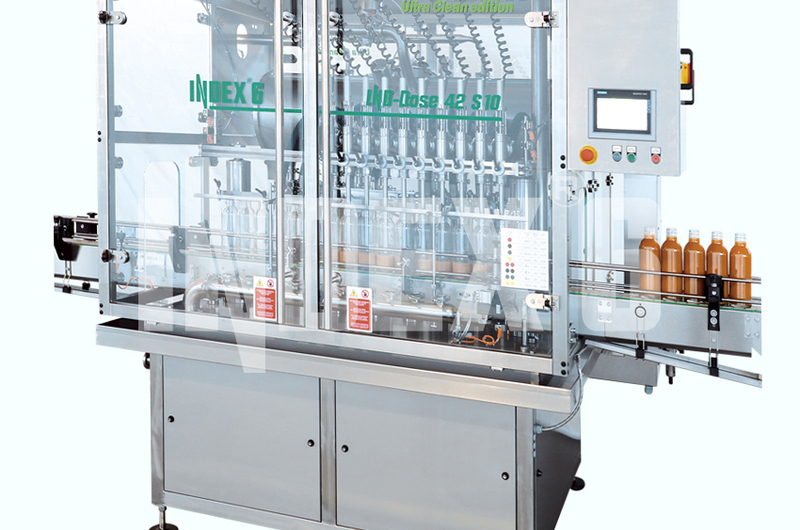 The washing of the machines is automatic, with CIP, without using "dummy" bottles. 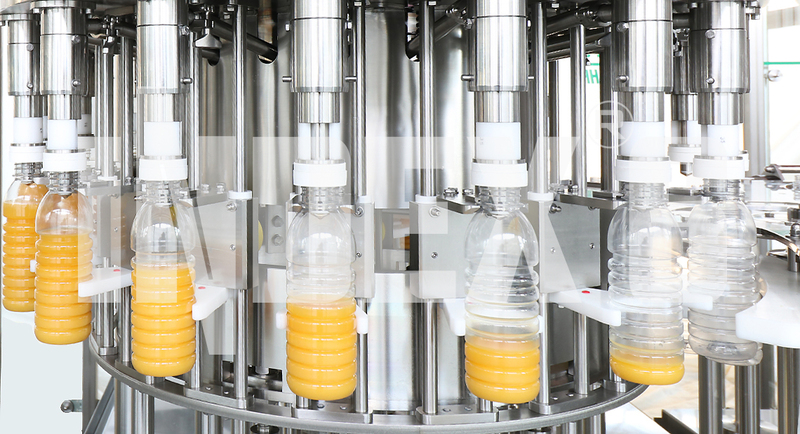 Depending on the shape of the bottle, the feeding on the conveyer belt is either at the neck or at its bottom. The machines can have 12 to 60 filling valves. The Linear machines are for lower capacities. They can be with a piston or volumetric. In both cases, the buffer tank is air-tight, temperature-proof and automatically rinsed. The machines are connected to the CIP. The number of the filling valves varies from 2 to 12.